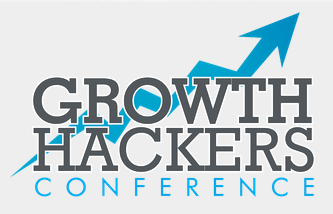 Yesterday I attended the 2013 Growth Hackers Conference at the Computer History Museum in Mountain View. Below are my notes, typos and all. There are more than a few gems to be found below. If you’re short of time, I particularly recommend the first and last talks. Language: what IS it to the user? Viral – instrumented viral – classic look at flow / drop off / invite rate up. Instrument the growth. People responding to viral emails, Facebook platform. Recently it’s harder. but now we have so many more / email -> android -> twitter. We want to build this beautiful thing for people, but beautiful things can get complicated. What are changes we can make to the product to open up to new customers? Am I solving for something that people actually want? How am I making people feel? People like getting emails about themselves: “Who’s been viewing your profile”. It plays to my vanity. How popular is my profile? Think about the frequency and the timing of email. Who’s been viewing your profile – You have to have a pretty good profile to even get this email. Inactive user’s don’t get this. Similarly, when you endorse one of your connections, they receive an email so you’re able to reengage a potentially inactive user. What do you test in email? Are growth strategies different for finance and Linkedin? Certainly – Linkedin was built for virality. Brant’s customer development survey: ask your users, how would they feel if they could never use your app? What’s the purpose of a business? Teach your customers how your other customers have had success. Tell your customers about how other customers use your product. happens every Thursday – a list of your customers that have signed up (goes in timezone order). When they’re awake! Just do it. I have an admin dashboard of users and their timezones. Don’t optimize it at first, just instrument it. How to find a time to build teaching content? If I find myself teaching people over the phone, I write it out. If I find myself teaching the same thing over and over then I produce content based on that. The person who is buying isn’t always the person using. have you worked on a team together? What can you do to help people experience a good moment with your product? Traffic sources on mobile: advertising / search / email / sms / social -> app store -> ? where did they come from? How did you get users in the early day? Dig in and find out everything you can from that person, try to find the kernel of benefit. What is the context? Why is that benefit important to people? Intent is one of the most valuable things a marketer has to work with. SMBs have one person cold-calling and walking in each day, it’s hard to break through. Why are you trying to get your credit score? But if you give them a task and say “do XYZ” – you get to see questions and concerns and confusion. You can learn a lot about that experience. What, if anything is stopping you from completing this order? You may not ask “does this solve a problem for you?”. People will say yes and they’re lying because people are polite. How can you tell if your product costs too much? Does the product require education or do the benefits of the product require education? students are cheap and have no shame so they spam everyone they know. They’re sharing homework. Can you measure it by channel? Can you measure it by campaign? Does your FUE change based on channel/campaign? How do you decide between in-house or using an agency? What percentage of acquisition costs compared to the LTV is the right range? How do you keep track of new channels that are coming out? What do you see as the next big channel? What’s the best experience that someone can have on speedate while they’re online? Not subjective – let’s really quantify it. How can we increase the percentage of users that get to the WOW experience? Unmet needs: what do other channels lack that we can offer? People are excited to get this bag of makeup so they’re excited to share it. What are the viral channels? For b2b companies the problem is the same. So how do you build a process to win in those situations? The first Udemy copy was “create an online course”, then it was “create a course and make money” then “tell everyone courses make money”. First you have to do everything yourself and then slowly slice it off to someone who is cheaper. How do you validate the supply that you’re getting? How do you keep people motivated on one metric? The sooner you can find your way to things that make results, the more excited people get. That buys you excitement into the next week where you have to grind it out again and do that once more. How do you weight priorities of things that produce growth but they require a lot of engineering effort? 70 experiments in 60 days and tripled the growth rate. Maybe only 20–30% of experiments worked at first. Growth can come from any part of the product. But it’s not necessarily the product commander’s role to think about the growth affects of a particular part of the product.